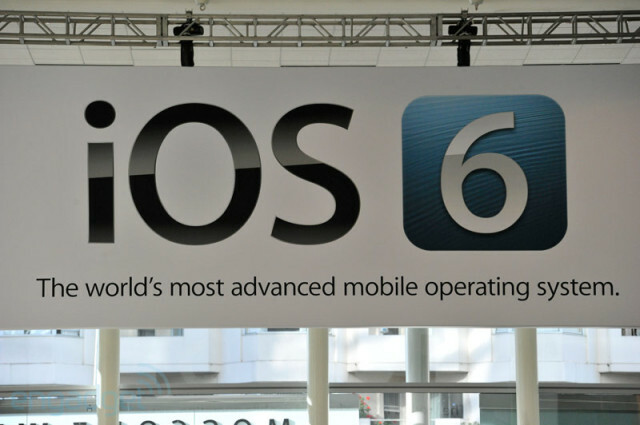 At the opening keynote for Apple’s WWDC 2012 today, Tim Cook officially announced iOS 6. As expected there are some great new features coming. Here’s a round up of some of the announced features. See if any of your predictions came true. Better Siri – Finally, full Siri support for Canada, English and French! Siri will also be coming to the New iPad! Some other improvements to Siri in iOS 6: Siri has more integrated search features for sports scores, restaurants, movies, and more. Apple has partnered with companies like Yelp and Rotten Tomatoes to bring accurate, up to date information. Siri has also learned how to launch apps. Simply tell Siri to “Launch Facebook” and she does it. Facebook Integration – Just like they introduced Twitter integration in iOS 5, Facebook integration comes to iOS 6. Similar to Twitter, you can share from photos, maps, and Safari. You can use dictation to update your status. Full contact sync, like the Facebook app does. 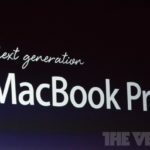 They also announced Facebook integration is coming to the App Store and to the Mac, as well. Phone App – New feature in the Phone app allows you to “Reply With Message” or “Remind Me Later” when receiving a phone call. Each feature has a few default options and the ability to add custom messages. Remind Me Later uses Location, to have your iPhone send you a reminder about the call when you leave a meeting, arrive at home, or any location you like. Do Not Disturb – A great new feature that we’ve seen in OS X 10.8. With Do Not Disturb turned on, you can still get all your messages, phone calls, and notifications, but the screen doesn’t light up, there are no audio alerts, and no vibrating. When you want to get your notifications, just pick up your iPhone and open Notification Center. FaceTime – FaceTime finally will work over your 3G / 4G data!! No longer is it restricted to WiFi. Safari – The new mobile Safari will feature iCloud tab and browsing support. It now features Offline Reading lists, to read your articles even when you don’t have a data connection. There is something new called “Smart App Banners”, used on developer’s websites to alert the user that there is an app for that site. Tapping the banner takes you to the app store, and will even open the app where you left off on the website. Safari now has full screen support, in landscape mode! PhotoStream – You can now share your photos with others using Shared PhotoStream. You just select photos in the Photos app that you want to share, select who you want to share them with, and then the recipients receive a notification with the photos. VIPs – This is basically an extension of “Favorites”. Your VIPs get highlighted messages, starred apps, and their own mailbox. New App: Passbook – This is Apple’s version of Keyring, but a whole lot more. You can store all your favourite store cards in this app. If you set locations for them, they will pop up on your lock screen when ever you arrive at that store. There is also boarding pass integration from United Airlines, with more airlines expected to jump on board. New App: Maps – Yes, the rumours were true. Apple has done away with Google maps and built an entirely new maps app, from the ground up. World wide maps app features local business data, local traffic, 3D views, and (the big one) turn by turn navigation! It is also integrated into Siri, so you can ask Siri for directions, and she can really take you there. There are over 200 new features in iOS 6, so this barely scratches the surface. iOS 6 ships this fall for iPhone 3GS and newer, iPad 2 and newer, and the iPod Touch 4th generation. There is a new beta being released for developers today. You can check out iOS 6 an Apple’s website, now. Stay tuned for more detailed posts on some of these great features and new apps.